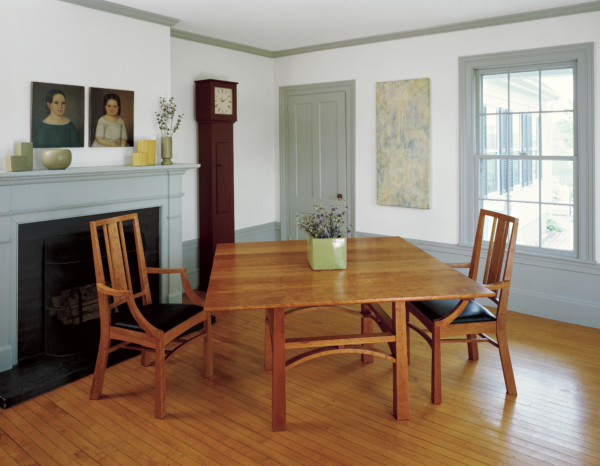 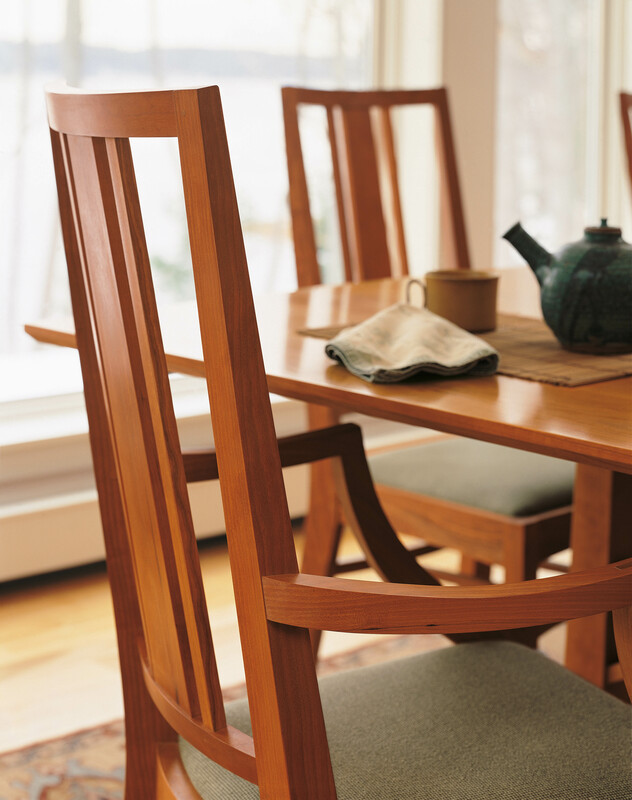 The American Bungalow Arm Chair is an adaptation of traditional Arts and Crafts forms popularized during the early 20th century. Leveraging the warmth and comfort of that period’s Bungalow homes, the style brought affordable craftsmanship to middle-class America. 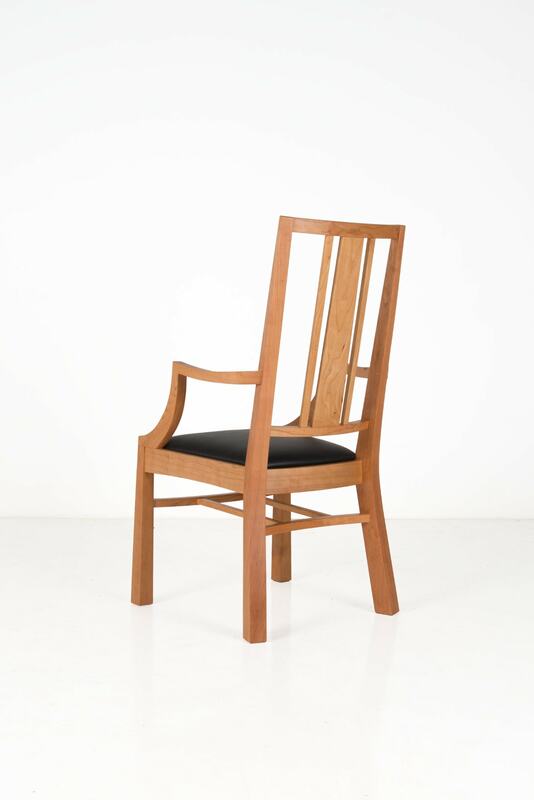 In its embrace of the Arts and Crafts movement, our American Bungalow Arm Chair is at once substantial and graceful, juxtaposing straight lines and gracefully curved, handmade arms. 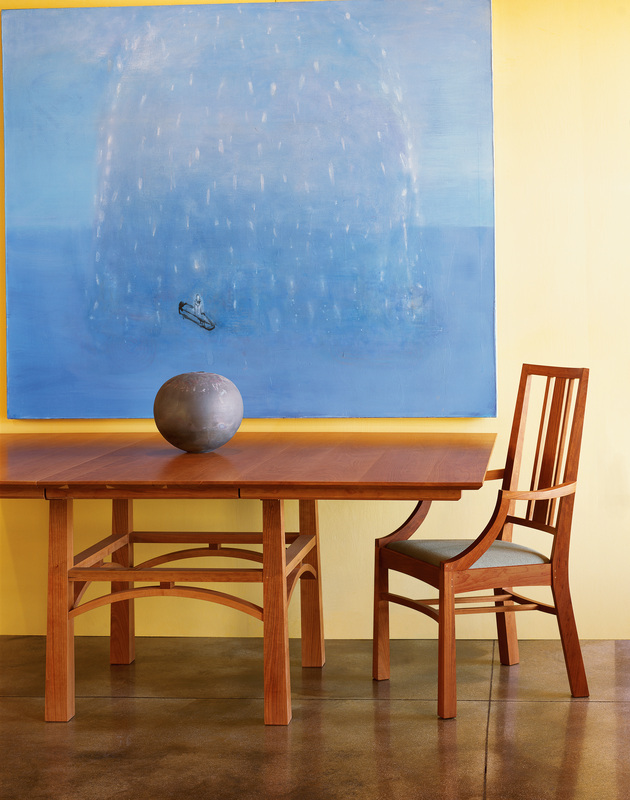 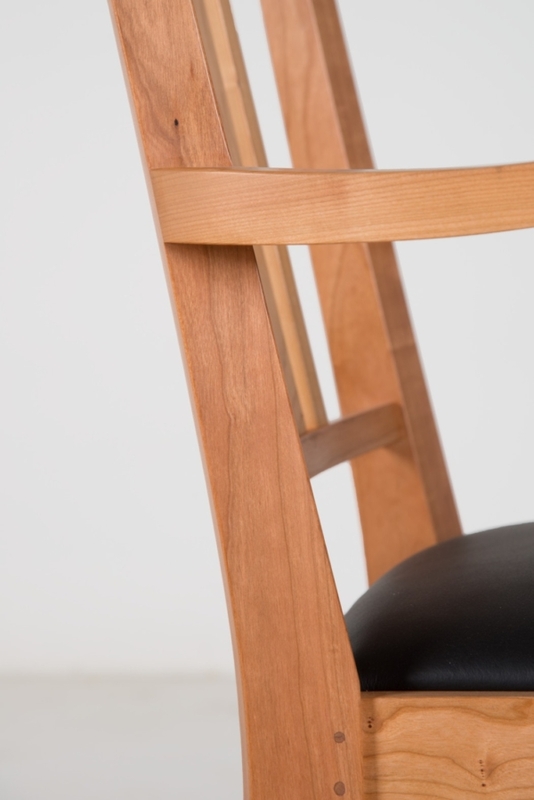 Crafted with a gradual reverse tapering of the front legs, this chair shows weight at its base while climbing gracefully to the heights of its seat. 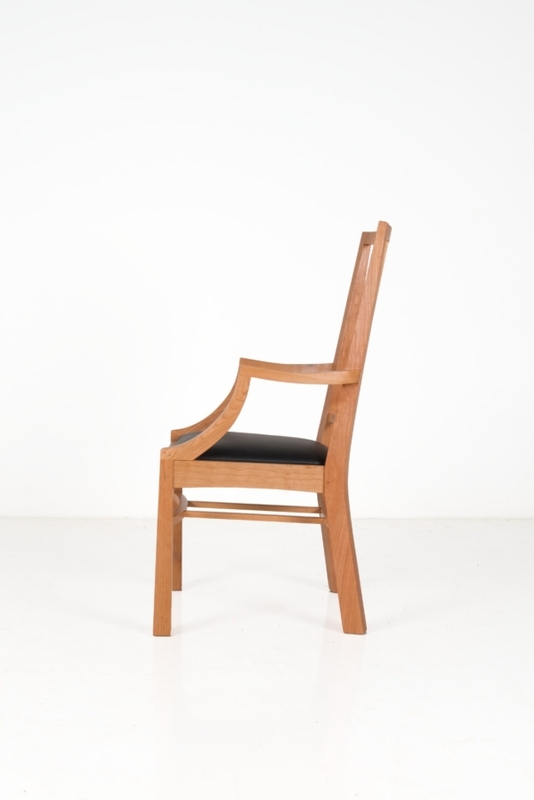 The slight taper is echoed in the back design, which resembles a Wright-style stained-glass window. 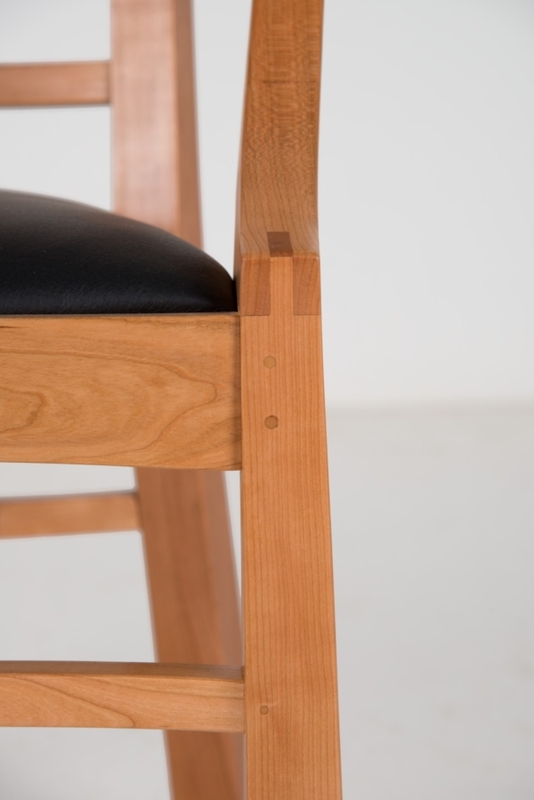 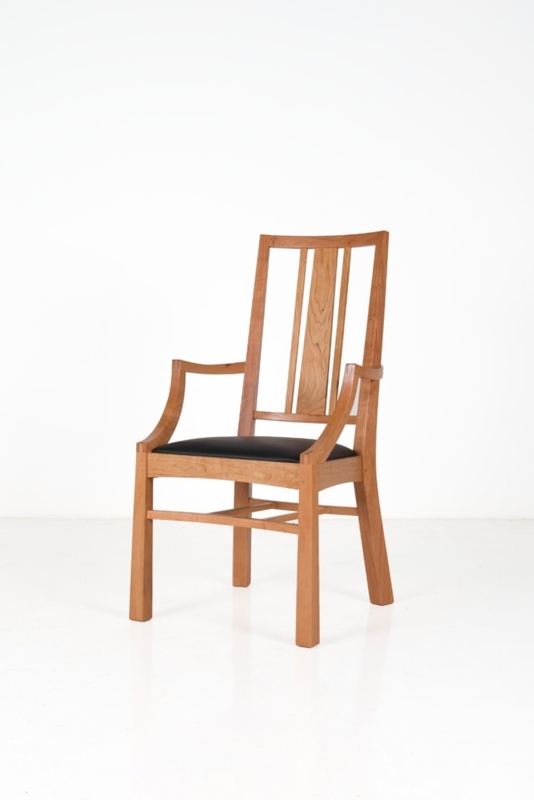 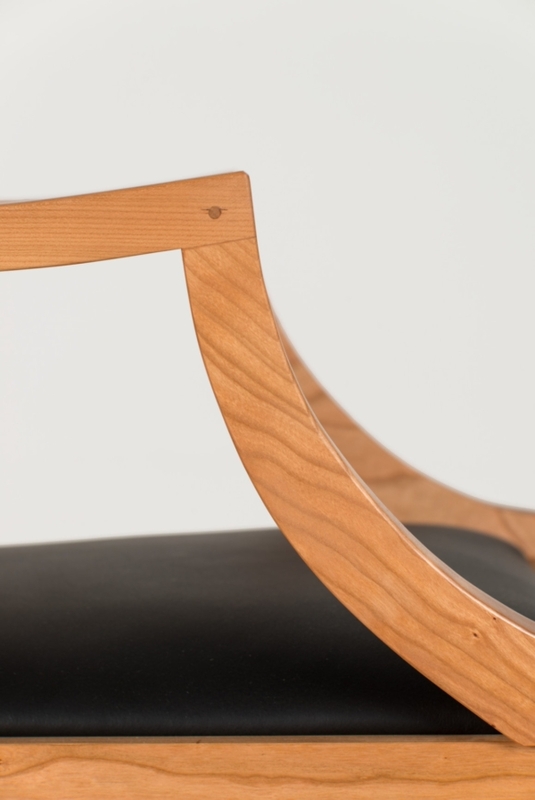 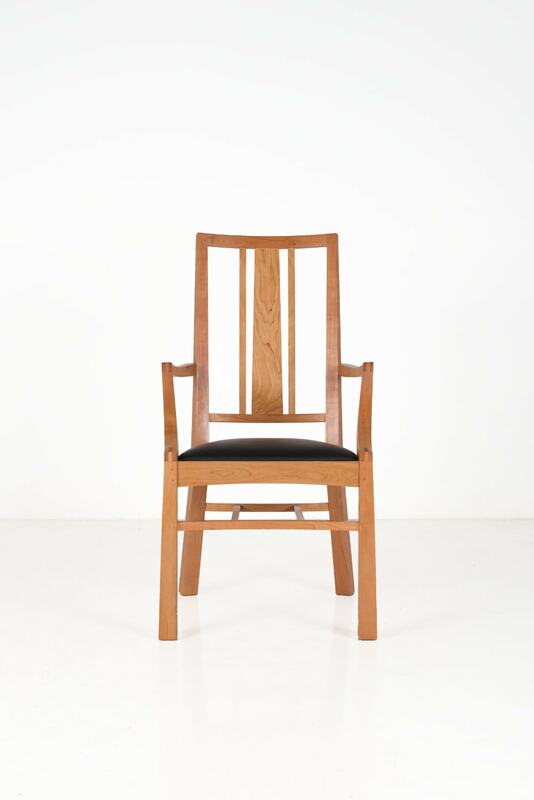 The armchair features a visible through joint on the armrest, and mortise-and-tenon joints are glued and pinned to ensure a secure fit for generations of use.